The Natural Sleep Store carries a variety of organic sheets to outfit your mattress. Sleep on pure and soft sheets made from all organic cotton in different weaves, either sateen, percale, flannel, or jersey knit. Sleep and Beyond Organic Sheets are made from 100% GOTS certified organic cotton. 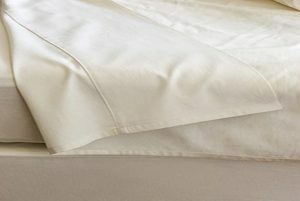 The sheets come in a natural ivory color and are made from 300-thread count sateen for superior softness. With an 18″ pocket depth and reinforced elastic, the fitted sheet is designed to accommodate a wide range of mattress thicknesses. The flat sheet features a one and a half inch hem at the top, and a half inch hem on the sides and bottom. Prices are for complete sheet sets, which include one fitted sheet, one flat sheet, and pillowcase(s). Twin sets come with one Standard/Queen pillowcase; Full and Queen sets come with two Standard/Queen pillowcases; King sets come with two King pillowcases. These organic cotton sheets are machine wash and dry. Gotcha Covered 300 thread count Organic Cotton Sheets are made from GOTS certified organic cotton, single pick, extra long staple yarns! Chemical-free, and hypoallergenic with a buttery soft hand. Each set is complete with a fitted and flat sheet. Twin comes with one standard pillowcase, Full comes with two standard pillowcases, Queen with two queen pillowcases, and King with two king pillow cases. Choose from 11″ low profile (available in all sizes) or 18″ deep profile (available in Queen or King sheets) for pocket depth. Made in Thailand. Beautiful sheets at a fabulous price! $100.00 – $154.00 Top-selling 300 thread count sheets. Undyed, chemical-free 100% organic cotton. 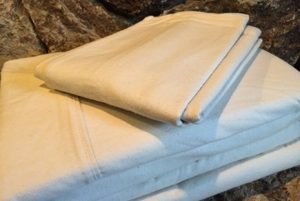 $82.00 – $112.00 Soft flannel organic cotton sheets. The Naturesoft Organic Percale Sheets are made from a 250 thread count percale and comes in an undyed natural color. Made from GOTS certified 100% organic cotton, these sheets are a fantastic value! USA made from start to finish! The 16″ pocket depth is designed to accommodate thin to thick mattresses. These organic sheets have a four inch hem at the top and a half inch hem on the sides and the bottom. Prices are for complete sheet sets and include one fitted sheet, one flat sheet, and two pillowcases (except Twin sets, which only come with one pillowcase. Twin, Full, and Queen sets come with Standard/Queen size pillowcases and King sets come with King pillowcases). The Naturesoft Organic Sheets are made from a 280 thread count sateen and comes in an ivory or white color. Made from GOTS certified 100% organic cotton, these sheets are a fantastic value! USA made from start to finish! The 16″ pocket depth is designed to accommodate thin to thick mattresses. These organic sheets have a three inch hem at the top and a half inch hem on the sides and the bottom. Prices are for complete sheet sets and include one fitted sheet, one flat sheet, and two pillowcases (except Twin sets, which only come with one pillowcase. Twin, Full, and Queen sets come with Standard/Queen size pillowcases and King sets come with King pillowcases). $101.00 – $132.00 Affordable sateen organic cotton sheets made in the USA. Soft 300 thread count organic sateen sheets. Constructed with a high quality elastic that runs all the way around the bottom. The 15″ pocket depth is designed to accommodate thin to thick mattresses. These organic sheets have a seven inch hem at the top and a half inch hem on the sides and the bottom. Prices are for complete sheet sets and include one fitted sheet, one flat sheet, and two pillowcases (Twin, Full, and Queen sets come with Standard/Queen size pillowcases and King sets come with King pillowcases). $212.00 – $306.00 Lustrous, 100% organic cotton sateen. 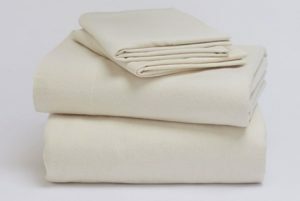 $158.00 – $304.00 Crisp, 100% organic cotton percale. 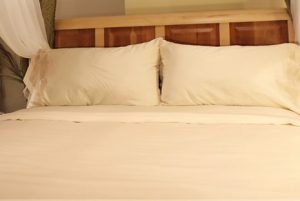 $198.00 – $348.00 Soft and warm organic flannel sheets! Super soft knit jersey fabric, all organic cotton! Constructed with a high quality elastic that runs all the way around the bottom. The 15″ pocket depth is designed to accommodate thin to thick mattresses. These organic sheets have a four inch hem at the top and a half inch hem on the sides and the bottom. Prices are for complete sheet sets and include one fitted sheet, one flat sheet, and two pillowcases (Twin and Twin XL sheets comes with one Standard envelope style pillowcase. Full and Queen sheets come with two Standard envelope style pillowcases. King sets come with two King envelope style pillowcases). $128.00 – $228.00 Organic cotton sheets that are as soft as your favorite T-shirt. Extra sateen pillowcases match our sateen sheets. These organic pillowcases by Gotcha Covered are a lightweight 300 thread count single pick weave of superior single-ply, long staple yarns! Undyed, chemical-free, and hypoallergenic with a buttery soft hand. Made from GOTS certified organic cotton! 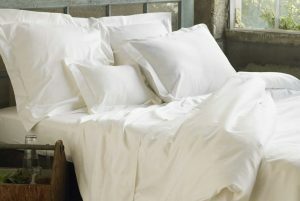 $45.00 – $52.00 300 thread count sateen pillowcases. Undyed, unbleached 100% organic cotton. $35.00 – $39.00 USA made organic cotton flannel. Extra sateen pillowcases match the Sleep and Beyond sateen sheets. Sleep and Beyond Organic Pillowcases are made from 100% GOTS certified organic cotton. 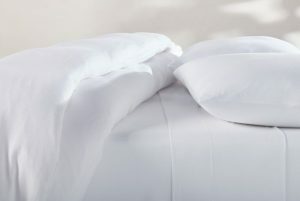 The sheets come in a natural ivory color and are made from 300-thread count sateen for superior softness. 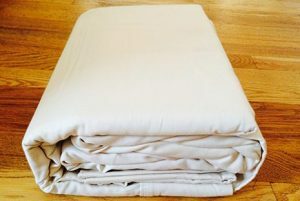 $35.00 – $39.00 Organic sateen pillowcases 300 thread count. Extra percale pillowcase match our organic percale sheets. 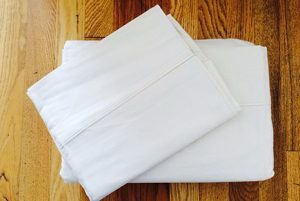 $38.00 – $48.00 Crisp, 100% organic cotton percale pillowcases. 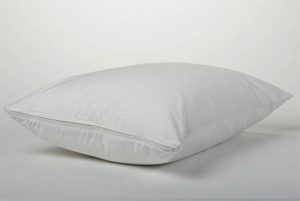 $48.00 – $58.00 Lustrous, organic cotton sateen pillowcases. Densely woven organic cotton sateen barrier cloth helps protect against stains and prevent dust mites. This pillow protector closes with a side zip. $28.00 – $38.00 Protecting pillow barrier cover made from organic cotton. Extra flannel pillowcases that match our flannel sheets. $48.00 – $58.00 Thick, 100% organic cotton flannel. This Pure Rest organic cotton mattress barrier cover / mattress protector is made from tightly woven heat treated SKAL certified organic cotton sateen. The heat treatment ensure the fibers have less than a 6 micron opening which prevents dust mites from entering your mattress. No chemicals, urethanes, or polyethelene. The barrier cover comes either fitted (like a fitted sheet) or with a nylon zip enclosure so the entire mattress is covered. 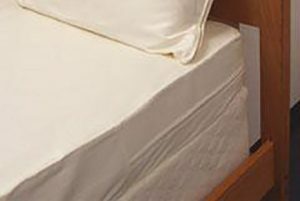 $149.00 – $329.00 An organic barrier cover to keep dust mites out of your mattress. Read our blog for more information on the different types of organic cotton fabric. 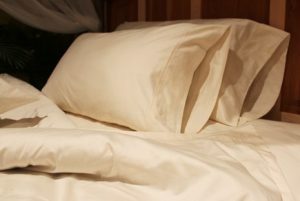 Why should you sleep with natural or organic sheets? Non- organic cotton sheets are often treated with a formaldehyde-based finish that reduces wrinkling. These sheets don’t even have to have a label informing you of what they were treated with! Formaldehyde is a cancer-causing chemical that, unfortunately, is found in many common household items like furniture, particle board (which is actually used in the construction of your house), paints, and carpet. It would be hard to completely avoid exposure to formaldehyde, but about 1/3 of your life is spent sleeping, so by avoiding breathing formaldehyde fumes while you sleep (by using an organic mattress with organic cotton sheets) could greatly reduce your overall exposure. Choose chemical free organic sheets and/or organic bedding to avoid formaldehyde. All of The Natural Sleep Store’s organic bedding, including our organic cotton sheets, organic baby sheets, natural pillows, blankets, comforters, duvet covers and shams are chemical free. Gotcha Covered has a new line of organic sheets with a high 300 thread count in natural color. These prices are outstanding for such high quality sheets! Coyuchi is the standard in organic sheets. We are pleased to carry the fantastic Coyuchi collection of simple percale, soft sateen, flannel, jersey knit and more! Green Living Organics is newer to the scene, but we couldn’t be more thrilled! They offer percale and sateen sheets that are GOTS and Fair Trade certified, but at a super price. Plus a new line grown and sewn entirely in the USA. Sleep and Beyond sheets are customer favorites! They are high quality, organic cotton 300 thread-count sheets at an outstanding price! All of our sheets from all our manufacturers are made from organic cotton. 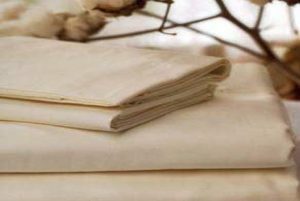 For all manufacturers: the natural or ivory sheets are undyed, the colored sheets use environmentally safe, low impact dyes, and the whites are always whitened with peroxide, never bleach. If you have any questions about our sheets, please feel free to contact us. We also sell separates (just flat, just fitted, just pillowcases) but they are not available to purchase online. If you’d like to purchase separates, please contact us.